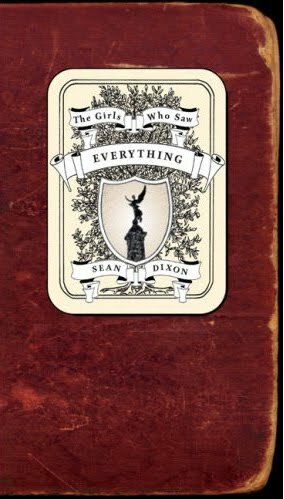 The Girls Who Saw Everything (aka The Last Days of the Lacuna Cabal) is currently, impossibly, being considered for inclusion in a long list to be whittled down for the next installment of Canada Reads. Since the members of the Lacuna Cabal would much appreciate the idea of having their book read by many Canadians, I have little choice but to take this bid seriously. The idea was put forward by a blog called picklemethis, maintained by a woman named Kerry Clare, who is hereby being inducted into full membership, with all existing members, of the Lacuna Cabal Montréal Young Women's Book Club. There's a poll at the bottom of the page, among all the bloggers' choices. 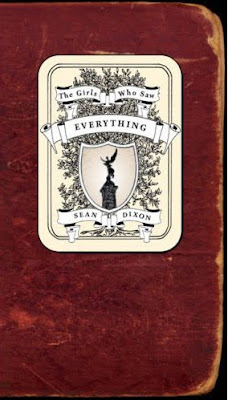 The Girls Who Saw Everything is currently in second place against a serious (as in non-comic) work by an international bestselling author named Kenneth J. Harvey, who incidentally sponsors an annual literary award called the ReLits. In third place is a graphic novel that I've always wanted to read, called Essex County. William Gibson is on there too, but we're all beating him, which is hilarious (I probably shouldn't be mentioning that.) Funny coincidence too because Salam Pax is a big fan of Gibson. All I can do, in consideration of impossibility, absurdity and humility, is ask all readers, presumptive members of the Lacuna Cabal Montreal Young Women's Book Club, to consider voting for the book on the poll that is now running on the Canada Reads site. Or, if not, then vote for one of the other books. On that poll or another poll on the site. Or, if not that either, then get out and vote in your municipal election!